The are three potential costs for joining NVC Summerfest: for people; for meal packages; for the glamping option. Remember: children 16 and under enter free. 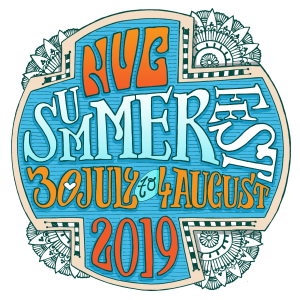 Elsewhere you can find out what’s on, discover more about the venue, read up on coming with children, meet the Summerfest team, consider volunteering, get travel directions, and read our Ts&Cs. Ready to book? Fill in the online booking form. Early Bird (before 30 April) £135. Advance, full price (from 1 May) £170. Advance, concession (from 1 May) £140. On the gate (30 July), full price £175. On the gate (30 July), concession £145. Kitchen volunteers (4 hours per day): £99 + free food. Community volunteers (3 hours per day): £99 + £40 food. The numbers of volunteers are very limited: please see Volunteering at the Summerfest if you’d like to offer your time. You can purchase a vegetarian meal package when you book. This will include: an evening meal on Tuesday 30 July; breakfast, lunch and dinner each full day; breakfast and lunch on the last day (Sunday 4 August). The meal package includes hot drink refreshments. Adult meal packages (13 and over): £75. Children’s meal packages (12 and under): £45. Catering for yourself: bring your own camping stove and cooking equipment. We can offer a limited option to reserve a bell tent for those who relish a little more comfort, installed down by the lake at Critchill Manor. Neither option includes a charge for people: see above. Glamping tents are available on a first come, first served basis; contact us directly if you’d like to know more.